American Airlines did me proud this time around. After the fiasco that was my last trip with them, I gave them a second chance (mostly because I’m an AAdvantage member – but also mostly because their price was the best). 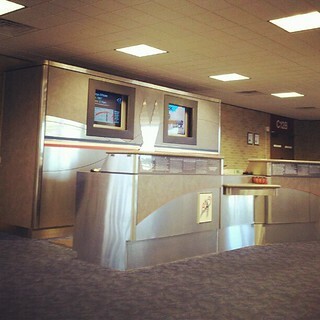 There were no delays, the customer service was top notch and even the airplane food was not that bad – certainly better than US Airways and United. There was a lot of turbulence from Chicago to Paris and that means I got very little sleep (it’s hard to sleep when you’re clutching the chair for dear life, as if somehow that will save you if the plane goes down). But I had a very nice seatmate – a gentleman of Asian descent who lived in Paris and had just returned from Hot Springs, AR, where he was visiting his wife. He helped me get my bag into the overhead bin and wished me a bon voyage when we picked up our luggage. It’s nice to have nice seatmates, non? There were a LOT of Americans on the flight. They easily outnumbered the French. That was a first for me. So now that I’m actually IN Paris, I have to get used to the language – using it and attempting to understand it. So far, I’ve been a wuss. I’ve asked parlez vous Anglais? several times now. But only of people that I knew spoke English (like the woman at Ble Sucre – I read that she loved Americans in there – but I’ll get to Ble Sucre in a bit). 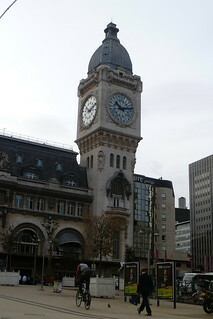 The train into Paris was as easy as I remembered, but I got lost in Gare de Lyon. It’s a tricky station when you’re underground. So I was about 15 minutes late meeting with Joel, the owner of the apartment I was renting (again). He was a sweetheart, too, and thanked me for giving the property a great review on FlipKey by leaving me a bottle of Fiton Domaine de la Grange wine. I’m popping that sucker open tonight. I also had a baguette and loaf of bread awaiting me, and like last year, I hate half the loaf while unpacking. Oops! But hey, it was getting close to lunch time (at least in Paris time) and I was hungry! I got unpacked, debated if I really wanted to go out in the rain and if wine and bread would be enough. But in the end, I went to Ble Sucre, one of Paris’ top bakeries (and literally two blocks from me) where I got a tuna and tomato quiche (which was delightful) and a chocolate eclair that was the best thing I’ve had in forever. NOW, now I remember why I come to Paris. Now I say that because after the bumpy flight, I was feeling grumpy and a little nauseous. I, fortunately, didn’t heave up my stomach’s contents on anyone and after a shower, I felt a million times better. But while I was feeling icky, I was like “Why am I coming here again?” The eclair… it reminded me. It’s the FOOD. Anyway, I’d originally wanted to visit Pere LaChaise today, but the rain is keeping me indoors. I’m just basically sitting in my Parisian apartment with the windows open and listening to the rain. I guess that’s not a bad day, huh? I do have to trek over to the Monoprix for some groceries (read – cheese) for dinner tonight, though. Maybe it will stop raining…. ? I don’t really mind the rain, but it is a little chilly over here. Not that I’m complaining. If I weren’t so jetlagged and batty, I’d hit up a museum, but everytime I’ve done a museum on the day of arrival, I never remember any of it. And I just don’t feel like walking to the train station and getting lost again! LOL I need my wits about me and right now, my wits are still up in the skies with all the turbulence.